Policeman, rancher, inspector, MLA (1921-1922). Born at Hull, England on 24 January 1872, son of Henry Liddell Mabb Sr. (?-?) and Ellen Holder (?-? ), the family moved to Belgium in the late 1870s and settled in the British expatriot community at Antwerp. Mabb attended school at the Athénée Royal, one of several international schools established by Napoleon, but where majority of curriculum was taught in French. He developed a facility with languages and became fluent in several. The family immigrated to Canada in April 1887, eventually settling in Manitoba. Mabb joined the North West Mounted Police in 1890 and served for five years, during which time he learned to speak Cree and Sioux, before receiving an honourable discharge in 1895. He then settled in southern Manitoba as a rancher and worked as a Homestead Inspector. 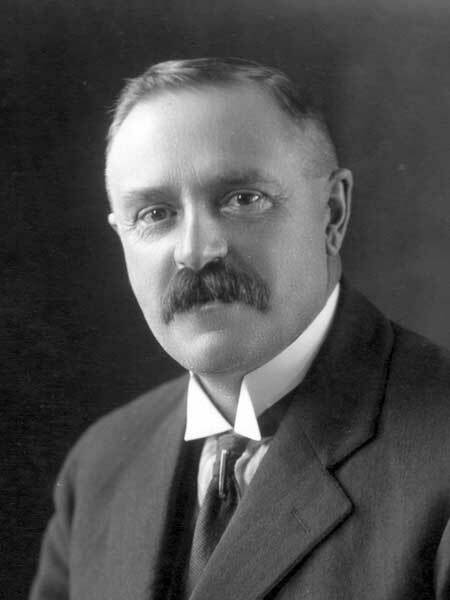 He was elected to the Manitoba Legislature in the 1920 provincial general election and served a single term, being defeated in 1922 and 1927. He was married twice, first around 1895 to Bertha May Mullett (1873-1904) and second to Clara A. Bird (1874-1951). From both marriages, he had five daughters: Bertha Ellen Mabb (1897-?, wife of Henry E. Lewis), Kathleen Winnifred Mabb (1901-?, wife of David A. Wright), Elizabeth May Mabb (1904-?, wife of J. B. Barrett), Ida Mabb (1907-?, wife of Mr. Barnes), and Gratia Mabb (1908-?, wife of William Gordon). He died at Fisher Branch on 25 December 1960 and was buried in the St. Johns Anglican Cemetery. Obituary, Brandon Sun, 29 December 1960, page 21. We thank David Rodas-Wright, great-grandson of H. L. Mabb, for providing information used here.